CFLs contain a very small amount of mercury sealed within the glass tubing-an average of 4 milligrams. By comparison, older thermometers contain about 500 milligrams of mercury -an amount equal to the mercury in 125 CFLs. Mercury is an essential part of CFLs; it allows the bulb to be an efficient light source. No mercury is released when the bulbs are intact or in use. Switching from traditional light bulbs (called incandescent) to CFLs is an effective, simple change everyone in America can make right now. Making this change will help to use less electricity at home and prevent greenhouse gas emissions that lead to climate change. Lighting accounts for close to 20% of the average home's electric bill. 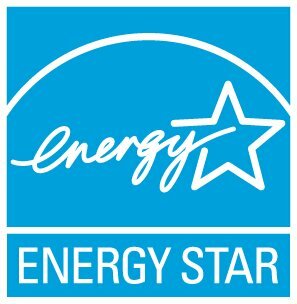 ENERGY STAR qualified CFLs use up to 75% less energy (electricity) than incandescent light bulbs, last up to 10 times longer, cost little up front, and provide a quick return on investment. If every home in America replaced just one incandescent light bulb with a CFL that's earned the ENERGY STAR, in one year it would save enough energy to light 3 million homes. That would prevent the release of greenhouse gas emissions equal to that of about 800,000 cars. Used CFLs should be disposed of properly. Follow EPA's clean-up recommendations if a CFL breaks in your home: www.epa.gov/CFL.